screening for Vitamin D deficiencies. Participating organizations integrated electronic and/or paper-based alerts into their processes when physicians order the aforementioned tests or treatments. In some cases, physicians were required to provide further information if they chose to override those alerts. Clinicians also received information about their performance every six months. Project partners emphasized shared decision-making and developed communications strategies to support physician-patient communication and spread information about Choosing Wisely. 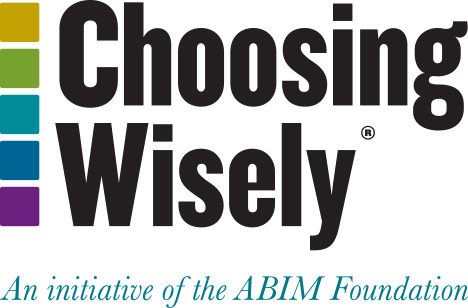 The MSMS educated physicians across the state about Choosing Wisely, and the Michigan Health & Hospital Association spread the campaign among its member health systems and hospitals. The United Auto Workers Retiree Medical Benefits Trust (the Trust), one of the world’s largest private purchasers of health care, educated its 720,000 members in Michigan and beyond. GDAHC CEO Kate Kohn-Parrott discusses her organization’s plans for implementation. The United Auto Workers Retiree Medical Benefits Trust faced a unique challenge communicating about Choosing Wisely to its roughly 720,000 members: How do you reach such a large group of people as diverse geographically as they are in age? Compounding this challenge was addressing concerns that after years of paying into a system, retirees often want to maximize what they get out of it. The Trust focused on providing the best value in terms of quality, cost and patient experience to its members. A big part of that was engaging members about their health care to maximize the value of their benefits and contribute to their quality of life. The Trust approached the communication challenge by working hard to engage each generation of its membership, regardless of education or health literacy level, with the message that more care doesn’t always equate to better health—and could actually cause harm. Outreach efforts ranged from direct mail to web and live presentations at UAW retiree meetings. In 2015, the Trust introduced Choosing Wisely to its membership through a tri-fold mailer that included pocket cards from Consumer Reports with five questions patients can ask their doctor – a positive action resulting in more than 7,000 requests for additional cards. The Trust launched its own quarterly newsletter in 2016 covering Choosing Wisely topics and through the first half of the year presented Choosing Wisely topics at 527 retiree meetings reaching nearly 55,000 members. The Trust also dedicated a section of its website to Choosing Wisely for those who prefer to access information through the internet.